18 years ago my husband, then boyfriend carved (R + C) into this bench at the park, he was 16 years old. This picture speaks a thousand words. We fell in love 18 years ago. 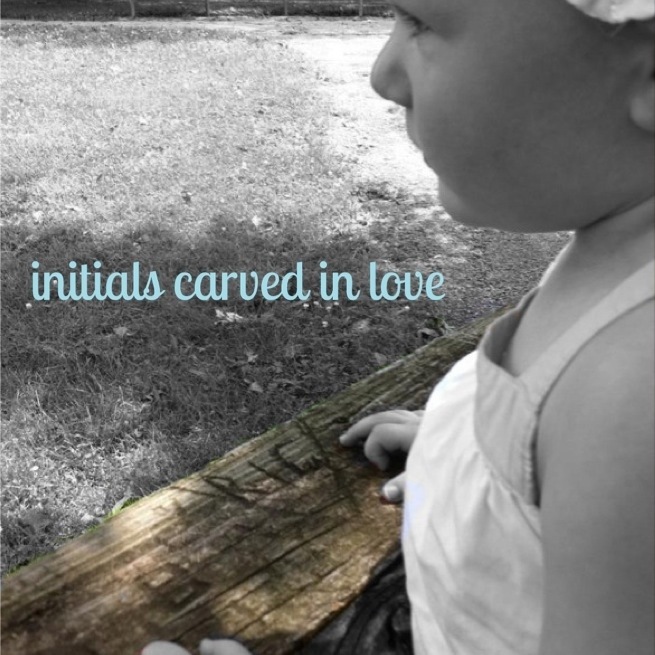 Our sweet daughter, (fourth child and final edition) almost two years old, has no understanding of the initials carved into the wood in front of her. One day she will understand the full meaning and I’m certain she’ll cherish this picture. Everyday I send a big thank you up to Heaven for “our” love story. God wrote our story and it is beautiful!